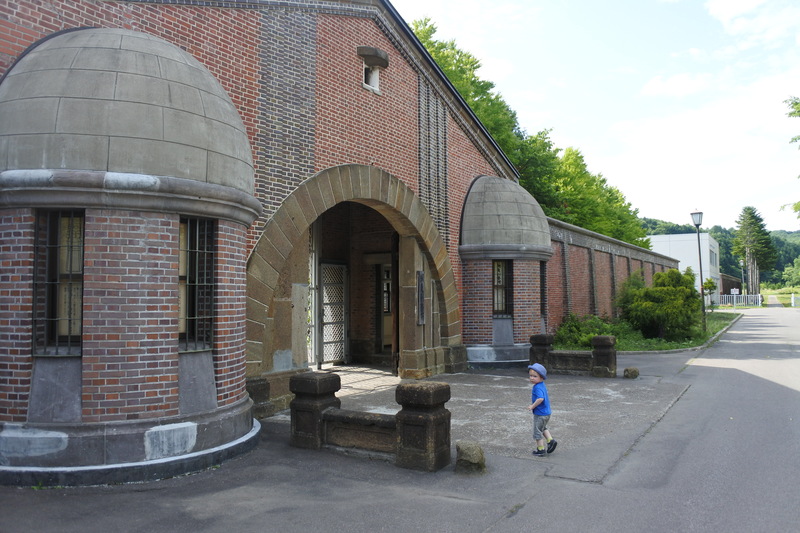 Having first visited the prison museum in Abashiri, it felt somehow necessary to visit the actual prison in Abashiri located across the river in order to try and make sense of it all. It was evident from that a number of other tourists had come to the same conclusion. This also seems to be anticipated by the prison authorities in various conflicting and contradictory ways. There are, for example, signs requesting visitors not take photos of the inmates. However, the tiny rooms on either side of the entrance gate have been turned into miniature display cabinets – a teeny tiny museum that seems to invert the gargantuan scale and detail of the official museum. The actual site of the prison here becomes the unofficial, somewhat arbitrary version of the story. Opposite the prison is a small gift shop selling objects made by inmates both doing time in Abashiri and in prisons across Japan. All prisons in Japan have these shops and I’ve already posted on the showroom located in Tokyo. Unsurprisingly, there is a contrast between the objects sold here and those found in the prison museum gift shop although the museum does sell objects also made by inmate labour. Outside the prison museum there is another gift shop which seems to be run independently from the museum selling ‘unofficial’ souvenirs similar to those one might find at the London Dungeons (or more likely in the newsagents next door).